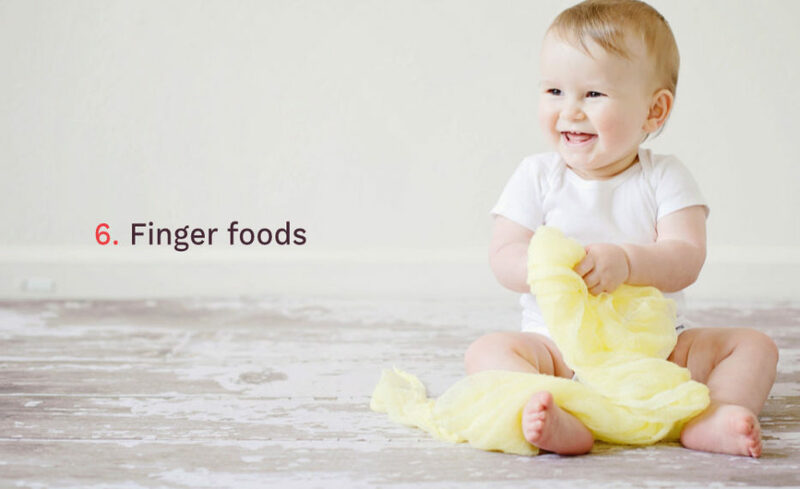 Whether you are using a traditional weaning approach with puréed foods or a baby led weaning approach, soft finger foods should be introduced to your baby from around 6-7 months of age. Finger foods help babies to develop chewing and biting skills as well as developing their motor skills and coordination. First finger foods should be around the same shape and size as an adult little finger. Large pieces work best at first while your baby is still learning to pick up foods. The food should stick out of the top of your baby’s fist. The ability to master the pincer grip only develops at around 9-10 months of age, so avoid giving small pieces of food to your baby when you first start offering finger foods. First finger foods offered to baby should be easy to grab because their coordination is very limited. They can only close their fists so small pieces of food are usually too difficult for them to grab. At the beginning they can’t even consciously open their fist to reposition the food so large pieces work best. What types of finger foods? 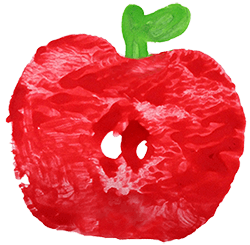 TOP TIP: Leave a little skin on the fruit and veggie finger foods (rinse and scrub fruit/veg first) OR cut a ‘groove’ into the fruit / vegetable, so that your baby can grip them better with their little fingers. You can also use a ‘wavy vegetable slicer’ that makes ‘crinkle cut’ style veggie shapes and these are easier for baby to grip.